Winemakers since 1427, this family owned estate have are situated around an hour from Venice. As well as the castle and vineyards, Giol is known for its beaiutiful parks which are open to the public. Very affordable bubbly that delivers plenty for the price, there’s something really special about drinking something fizzy with supper and this easy-going Prosecco Frizzante is a winner with a herb risotto or Ricotta and Spinach Crepes. Great fun and great value. A fully sparkling Prosecco which tastes as good as it looks…(we think it looks great!). It’s extra dry in style which as we all know means its a dash sweeter than Brut, but makes it a perfect bubbly befofre or after the meal and the perefct combo with slightly spicy dishes…try with a chorizo based tapas and you will see what we mean! 100% Pinot Grigio, 100% perfect this summer. Pinot Grigio is very popular at the moment, this wine shows you why, fresh citrus fruit, combined with lovely acidity and a dash of honey on the finish all add up to a wine that is perfect when the sun is out with or without a some tasty snacks to go with it. Merlot has always been one of the most popular wines throughout the world due to its roundness and versatility, as it can be used Young or Old, blended with other wines to improve their balance, or sipmly as a expresion of merlot . Its ruby red colour is not particularly deep, revealing its nature as an easy-going wine ideal for everyday drinking with food. Its nose shows very delicate floral notes, which combine nicely with aromas of fresh berry fruit and wild cherry. The well-orchestrated, balanced and slightly tannic palate boasts an attractive plush finish. Serve at 15° C-18° C to enhance its freshness. An excellent wine to accompany pasta with meat sauce, meat-filled crepes, egg pasta, lean meats (preferably white) and light starters. Our Cabernet Barrique is a Bordeaux blend crafted from 85% Cabernet Sauvignon mixed with Cabernet Franc and a small variable proportion of Merlot. 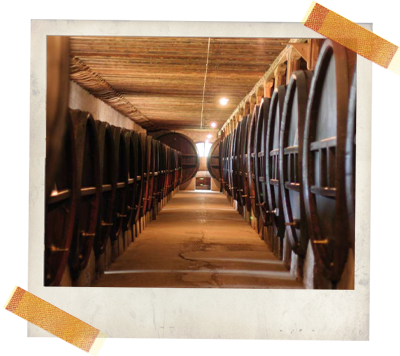 Malolactic fermentation takes place in small casks, where the wine subsequently ages for 8-10 months. This enables it to acquire unmistakable oak tones, which underscore the characteristics of the wine rather than covering them. A deep ruby red wine tending to purplish. Slightly grassy nose with raspberry aromas when young; vinous with hints of forest fruits and cherry. Softens out with ageing, acquiring aromas of violet, Eastern spices, black pepper, cocoa powder and tobacco. Pairs with haute-cuisine meat dishes, charcoal-grilled meats, red and white roast meats, fancy poultry and game, mature cheeses like medium-mature and mature Piave, and medium-fat semi-hard cheeses. Serve at around 20° C to heighten the aromas and flavours.